Lew Valentine and Jimmy McClain were the two "Wise men with the friendly smile and cash for your correct answers." Dr. I.Q. (The Mental Banker) was one of Network Radio’s most popular quiz shows. Surprisingly, it was the spin-off of an earlier audience participation show that also originated in - of all places, Houston. Dr. I.Q. was born on July 12, 1937, the creation of Lee Segall at KTRH/Houston. The quiz was introduced as part of the locally produced Vox Pop - not to be confused with Network Radio’s Vox Pop which also originated at KTRH before moving on to CBS in 1935 where it began 13 year multi-network run. The show’s basics were unique for its time. The professorial but kindly and fast talking Dr I.Q. - who was never identified by name on the program - breezed through an average of 25 to 30 sets of questions and answers per show. Instead of contestants parading to the stage, microphones went to them, manned by station announcers who were stationed in sections of the theater and called upon by Dr. I.Q. in sequence. The announcer-assistants simply introduced contestants as, “I have a gentleman, Doctor,” or the now famous, “I have a lady in the balcony, Doctor.” Only when a question was correctly answered was the contestant asked for his or her name by the announcer who doled out silver dollars in varying amounts as prizes. The tougher the question, the greater the dollar amount assigned to it by Dr. I.Q. This was especially true with the program’s continuing features, The Biographical Sketch, Famous Quotations, Right Or Wrong and The Thought Twister. "Oh, I’m sorry! I think you’d find that a rooster is the only kind of chicken that doesn’t lay eggs - but a box of 24 delicious Mars Bars to that lady and two tickets to next week’s production here at the beautiful Orpheum Theater in downtown Minneapolis." Dr. I.Q. would rattle off a form of that consolation line plugging the sponsor’s product and the originating theater up to 20 or more times a week. Then he would immediately call on his next assistant/announcer and another contestant. Mars, Inc. leased the name and program concept from Segall in late 1938. The candy company moved it out of Houston for a brief test from WSB/Atlanta in January, 1939, with a new host, 26 year old Lew Valentine from WOAI/San Antonio. Encouraged by its Atlanta response, Mars promoted Dr. I.Q. in March to an eight station Blue network hookup from the stage of the Fox Theater in St, Louis. In July it was moved to the Chicago Theater in the city’s loop and a 32 station NBC network. It ran into trouble in Chicago when the city - encouraged by a group of theater owners jealous of the Monday night crowds attracted to the Chicago Theater - sought to kill the show’s theatrical originations under the city’s ban of lotteries and “bank nights” in movie houses. On July 22, 1939, a state court granted an injunction against the city ruling that the program was not a lottery. Dr. I.Q. received more good news in August when sponsor Mars expanded it 56 NBC stations for the 1939-40 season with the provision that the show would become a permanent remote - originating from major theaters around the country. Although its base remained in Chicago, home of Mars and its Grant advertising agency, Dr. I.Q. hit the road on August 28th making its first stop with a broadcast from Pittsburgh’s Stanley Theater. The program usually camped in a theater for at least a month because moving it was a considerable undertaking requiring a truckload of amplifiers, microphones and miles of cable. By 1941 its stops had included Philadelphia, New York, Boston, Los Angeles, Dallas, Louisville, Denver, Miami, Cincinnati, Seattle and return engagements in St. Louis and Chicago. Mars and NBC slotted Dr. I.Q. on Monday night at 9:00 ET as counter-programming opposite the CBS powerhouse Lux Radio Theater. The roaming quiz show managed to carve out an average Hooperating of 10.0 against Lux’s big budgeted Hollywood productions. Considering that Lux cost up to five times as much to produce and Dr. I.Q. regularly reached over three million homes in its peak years, both the candy company and the network had a sweet deal. The 1941-42 season saw two major changes for Dr. I.Q. First, Lew Valentine left the show in April to become managing partner of KPAB/Laredo,Texas. He was replaced by another of Segall’s discoveries, 29 year old Jimmy McClain who had emceed a trial run of Dr. I.Q. Junior on NBC during the summer after hosting Three Strikes & You’re Out at KGKO/Dallas. McClain sounded so much like Valentine that most listeners couldn’t tell the difference when the switch was made. Helping to maintain the continuity was the only constant through the show’s entire run, the voice of announcer Allen C. Anthony. Episodes of the show and examples of its features are found on the two audio posts below. The 1939 show from Chicago features Valentine and the 1942 show from Buffalo stars McClain. The similarity of their voices and delivery is striking. In March, 1942, Mars was faced with wartime shortages of sugar for its products and gave up sponsorship of the show. It was picked up immediately by Vick’s Vitamins Plus. The most notable change came at the beginning of the 1942-43 season when Dr. I.Q. was moved up half an hour on the NBC Monday schedule to 9:30 and given The (Bell) Telephone Hour as its weak lead-in against the second half of Lux Radio Theater. The quiz show’s ratings barely budged and even achieved Monday’s Top Ten in 1943-44. Relief came in April, 1944, when Mars returned as the program’s sponsor and Dr. I.Q. was moved up to 10:30, out of Lux’s line of fire. Faced with only so-so competition in the Eastern time zone and Bob Hawk’s Thanks To The Yanks in the Midwest, Mountain and Pacific zones, the move resulted in Dr. I.Q. enjoying four straight seasons in Monday’s Top Ten and two in the annual Top 50 among all network programs. Lew Valentine returned from the Army to Dr. I.Q. in May, 1946, and for a very brief period he and Jimmy McClain shared emcee duties until McClain left radio at the end of the season to become an Episcopalian priest. Then in 1947-48, NBC and sponsor Mars dealt the show a crippling blow by moving it back to 9:30, once again against Lux Radio Theater. Since the two programs’ first matchup, Lux had become Network Radio’s Number One attraction. Adding to Dr. I.Q.’s problems, Valentine left the role for a short period at mid-season, replaced briefly by another Texan, Stanley Vainrib from KIXL/Dallas. Dr. I.Q. had a loyal audience and the show lost only 4/5ths of a rating point after the time switch. 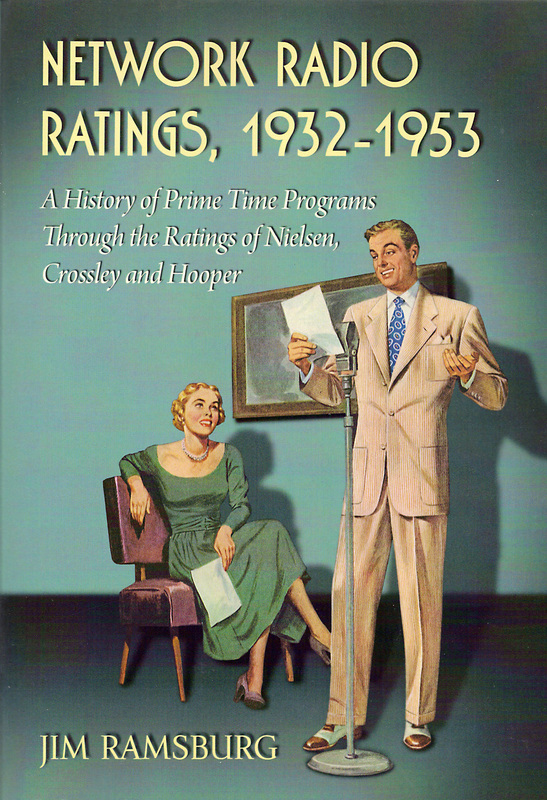 But as noted in Network Radio Ratings, 1932-1953, the 1947-48 season was one of record audience growth when the ratings of the average Top 50 program increased by over 20% - so any loss of audience resulted in a disproportionate drop in the annual rankings. And that‘s how the difference of just one hour and the loss of less than a rating point pushed Dr. I.Q. out of Monday’s Top Ten and from 49th place in the annual Top 50 down to 108th place. Dr. I.Q.’s ratings fell into single digits in 1948-49 and at the end of the season both Mars and NBC cancelled the show. It was picked up by Imperial Tobacco’s Embassy Cigarettes for an 18 month run on ABC’s Wednesday schedule but the show had run its course and left Network Radio on November 29, 1950. Two short attempts were made to revive the show on ABC-TV in the 1950’s but quickly faded away. They simply lacked the pace and punch of the original radio production that roamed the country’s theaters for over a decade and left a trail of silver dollars behind. (1) This little known information is found in an excellent post at www.houstonradiohistory.blogspot.com which also reports that Lee Segall retained ownership of Dr. I.Q. throughout its radio and television runs. Segall also contributed questions to the show and authored several books of them.